Fixed income portfolio managers can use covered bonds to fill several needs in a portfolio. 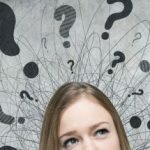 Covered bonds can act as a liquidity buffer instead of cash awaiting potential new deals, as a risk reducer for the entire portfolio or as a relative value play among other asset types or currencies. Sweden (bonds issued in Swedish Krona, SEK) has a covered bond market equivalent of 165 billion EUR, while the Norwegian covered bond market (Norwegian Krone, NOK bonds) is 50 billion EUR in size. The global EUR covered bond market is naturally the biggest of the three; about ten times the size of the Swedish market, 1580 billion EUR (EUR bonds). All three markets are among the top ten biggest covered bond markets in the world. 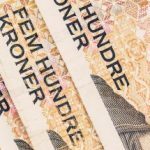 The single biggest covered bond market in the world is the Danish market, but given some particularities with callable bonds, Danish covered bonds have been disregarded in this article. Credit spreads in the three markets have since 2014 been fairly correlated in terms of direction. 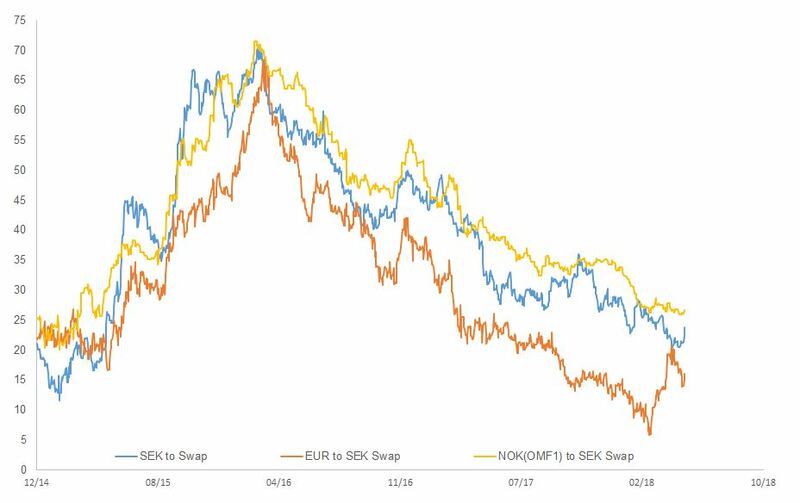 I have compared 5-year bonds for Nordic issuers that have been issued in each market’s local currency, SEK, NOK and EUR, currency adjusted over the SEK asset swap curve. Since the spring of 2016, credit spreads have been steady tightening as ECB increased their asset purchases, where EUR covered bonds have tightened the most. From a peak of 70 basis points in 2016, EUR covered bonds hit a low of 5 basis points in March, 2018, tightest level since end 2014. Right after hitting the low in March, EUR covered bonds took a different direction from the two Nordic markets and started to widen quite drastically. EUR bonds widened about 15 basis points up until the end of April before reversing again (see graph below). This widening was primarily an effect of the weakening of the SEK – which was a result of a change in the SEKEUR basis spread in addition to a general spread widening in the EUR market. Swedish Riksbanken has been trying to keep the SEK weak as the inflation target of 2% has not been reached – in spite of the recent strong development in the Swedish economy. Sources: Nordic Bond Pricing, Macrobond and Bloomberg as of May, 2018. The series are represented 5 year covered bonds, Swedish covered bonds: Svenska Handelsbanken, SEB, Swedbank and Nordea in SEK, Norwegian covered bonds: Series OMF1 from Nordic Bond Pricing, EUR covered bonds: Svenska Handelsbanken, SEB, Swedbank and Nordea in EUR. Market size sources: Swedish Bankers’ Association, www.finansnorge.no, Norwegian covered bonds as of end 2017 and ECBC Factbook 2017. So what does this credit spread movement mean from a portfolio management point of view? First of all, you need an investment mandate that allows you to invest in several currencies to be able to take advantage of the relative value opportunity between currencies. 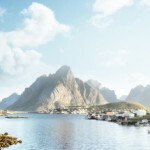 Many investment grade funds in the Nordic market have restrictions in their mandates that only allow them to invest in the local market currency. This means that there are many fund managers that are prevented from taking on relative value opportunities. When the credit spreads started to widen in March this year, EUR bonds rapidly started to look more interesting. If you managed to trade on the spread peak around 20 basis points, you could enjoy the tightening of 5 basis points right after. With a single currency investment guideline, a pure NOK, SEK or EUR mandate, you would not have been able to take part in this relative currency play. With a Nordic investment mandate you are not only adding the market size or the type of companies to invest in, you are adding the possibility to take part in the relative value between currencies as an additional source of return. This might be even more crucial when investing in covered bonds, where every single basis point counts.